Take action now to learn the basics ICD-10-CM with Detailed Instruction for Appropriate ICD-10-CM Coding. This resource will help create a solid foundation for all levels of ICD-10-CM coding with examples and case studies to explain key coding concepts. The knowledge gleaned from this book will help you evaluate the impact of the new coding system in all aspects of your business. Optum360 Edge — Part of the Optum360 Learning, Coding & Reimbursement Educational series. 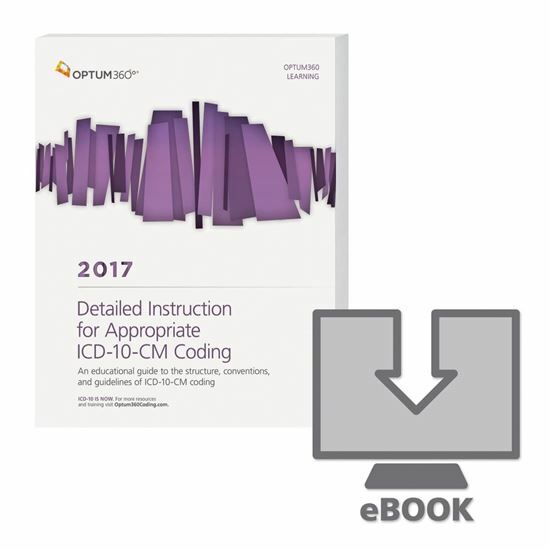 • Optum360 Edge — Easy-to-follow guide to ICD-10-CM.Understand the official coding guidelines and requirements of the ICD-10-CM coding system. • Optum360 Edge — Knowledge assessments help quantify understanding of the ICD-10-CM system. Answers, with answer rationale, are provided for all test questions. These real-life coding scenarios with the answers explained at length sharpen the coding skills of beginner and expert coders. • Real-life examples. Clarify even the most complex coding protocols. • Suitable for all specialties — Covers all body systems.